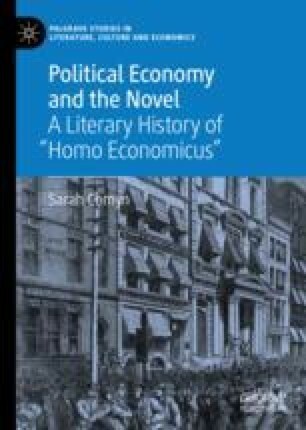 Comyn provides an introduction to the figure of homo economicus (economic man) and analyses the historical and contemporary debates surrounding this figure, demonstrating its significance to both literary and economic discourses over a 250-year period. Recognising and exploring the tradition of moral philosophy that political economy emerges from, and the emotional and imaginative insight of economic theory’s origins, Comyn identifies and investigates the category of the “empathic imagination” in the origins of political economy and the novel, and its implications for the development and understanding of homo economicus. Combining the methodologies of new historicism and new economic criticism, Comyn engages with transhistorical and transnational narratives concerning literary value: aesthetic, economic, cultural, and political.